The FDA has no reason to regulate water ionizers because they are appliances. The FDA only regulates food and drugs, not appliances. Water ionizer companies have to follow FDA regulations regarding any health claims they make. 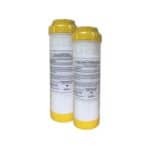 They have to follow EPA regulations regarding claims for the performance of the filtration systems used in their water ionizers. What the FDA does not regulate is the plastics used in water ionizers. 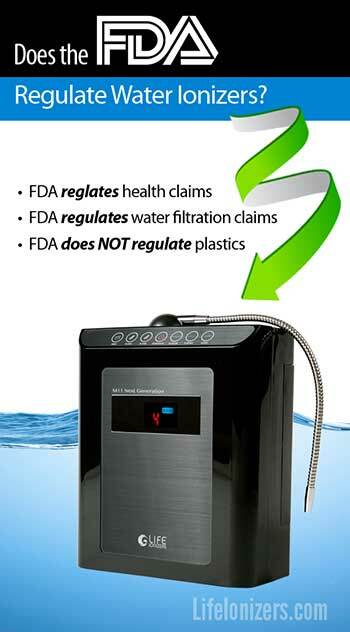 Some water ionizer companies claim their ionizers are made with “FDA Approved Plastics”. But the term “FDA Approved Plastics” refers to plastics used for food storage containers, not water treatment systems. Caveat Emptor: Enagic corporation, the company that makes the Kangen Water machine exploits a loophole in FDA regulations: They can’t be held responsible for the claims made by their independent sales representatives. Enagic sells the Kangen Water machine through multi-level marketing, so it’s sales representatives are completely independent of the company. Because of this, Enagic claims they can’t regulate the claims made by those independent sales reps. For the FDA to enforce health claim regulations on Enagic sales representatives, the FDA would have to pursue each Enagic sales representative individually. The FDA simply does not have the resources to do that. The plates in a water ionizer are made of titanium and coated with platinum to protect your health – in most ionizers. The exception is the Aqua Ionizer Deluxe. The plates in this machine are not coated with platinum. Since there is no platinum coating on the plates, the water from an Aqua Ionizer Deluxe 7.0 can contain titanium dioxide particles. The electrodialytic process used by a water ionizer draws titanium atoms off the plates if the plates aren’t coated with platinum. That platinum coating is supposed to be there for your protection, but the FDA doesn’t require it. The plates in a LIFE water ionizer have 8 coats of platinum, thanks to our proprietary MAX COAT™ platinum plating process. Most water ionizer companies don’t know how a water ionizer actually works. You will find many companies that claim that water ionizers “microcluster” water molecules into little clusters of six water molecules each. The microclustering theory has been rejected by science, it’s just not true. The theory is based on a shred of scientific truth called hydrogen bonding. Water molecules might cluster together for a few trillionths of second, but then they break up immediately. However, no scientist has ever observed hydrogen bonding happening, so nobody actually knows for sure whether it happens or not. Some companies claim that water ionizers split water molecules, but that’s also not true. In fact, all water ionizers use a special membrane called an ion-permeable membrane that is designed to prevent water molecules from being split! The membrane does this because that conserves energy, since no energy is used up splitting water molecules, a water ionizer is able to dedicate 100% of it’s energy to forming the mineral hydrates that are the actual reason alkaline water is good for you. 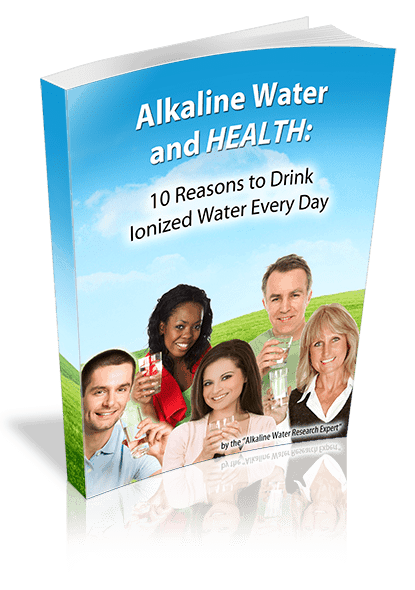 On the LIFE Ionizers website, you’ll find close to 500 pages of information about alkaline water, water ionizers, and the studies that document the potential benefits of alkaline water. Compare that wealth of information to any other water ionizer company out there. 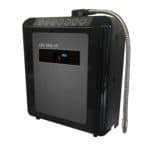 LIFE Ionizers has the most extensive documentation on the two chamber bipolar membrane electrodialysis process because LIFE is the only company with water ionizer engineers and technical writers on staff, which makes LIFE the only water ionizer company with the technical expertise to actually understand how a water ionizer works. 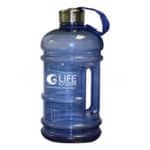 Articles on the LIFE Ionizers blog are based on over 40 health studies, but we still won’t claim alkaline water cures any disease. We urge you to look at those health studies, talk to your doctor, and make informed choices about your health. Want to know if something you’ve heard about alkaline water is true?Call us at 877-959-7977 for a free no-obligation consultation.